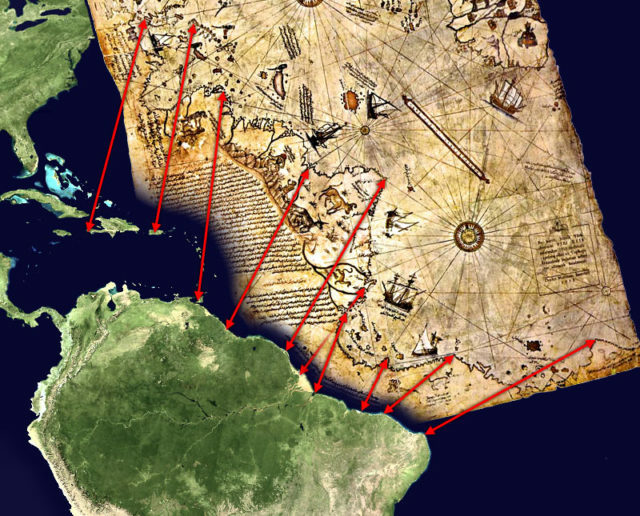 The mysterious Piri Reis Map: Is this evidence of a very advanced prehistoric civilization? Late in 1929, Gustav Deissmann, a German theologian, was working in Istanbul at the Topkapi Palace Library. While cataloging antique items he found a gazelle-skin parchment in a stack of discarded items. 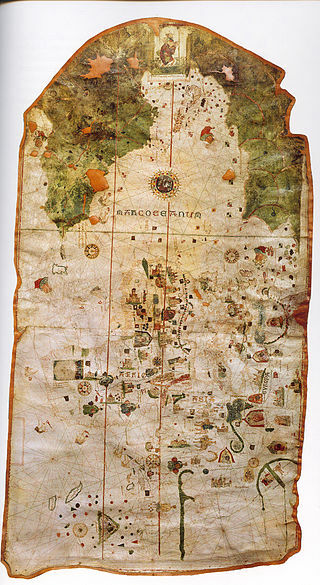 This parchment had a map drawn on it, and Deissmann was amazed to see that it appeared to show the outline of South America. He rescued the parchment, which is now known as the Piri Reis Map. The map he studied had been drawn and signed in 1513 by Turkish cartographer Hagii Ahmed Muhiddin Piri, also known as Piri Reis. In addition to being a cartographer, Piri Reis served in the Turkish navy, for which he held the rank of admiral. He stated that he had used 20 different maps and charts as his source documents. Eight of them were Ptolemaic maps (maps of the known world according to the 2nd century Hellenistic or Greek society), four were Portuguese maps, one was an Arabic map, and one was drawn by Christopher Columbus. Fragment of the Piri Reis map. World map of Cosa (1500). Cuba already appears as an island. This simple piece of preserved gazelle skin has been the basis of intense controversy in the world of cartography. For one thing, the map appears to show Antarctica almost 300 years before it was discovered. Not only does it show Antarctica, but the continent is drawn as a land mass as it would have appeared before it was covered with its ice cap over 6,000 years ago. Another hypothesis, less accepted, which attempts to correlate the American outline map of Piri Reis with coastal Venezuela and Brazil. This controversy was precipitated when Professor Charles Hapgood published, in 1965, his theory about Antarctica in the book Maps of the Ancient Sea Kings. Professor Hapgood, based at the University of New Hampshire, had studied the Piri Reis Map with his students and found several things that they could not explain. Not only was there the issue of Antarctica without its ice cap, but they noticed that the map was drawn using the Mercator Projection, a methodology not used by European cartographers until the late 16th century. Hypothesis that attempts to correlate the lower boundary of the Piri Reis map of the coast of Argentine Patagonia and the Falkland Islands. The use of Mercator Projection on the Piri Reis Map could possibly be explained by his use of Greek maps in the creation of his drawing, but there was no explanation for the inclusion of Antarctica without the ice cap. Professor Hapgood and his students theorized that the Piri Reis map had to have been based on information older than 4,000 BCE. This is long before any known sophisticated civilizations or any well-defined languages; the map introduces the theory of an ancient civilization that had the skills to navigate the world’s oceans, and accurately chart the lands they visited. Professor Hapgood went on to state that the topographical representation of the area inland from the coast was so accurate that this ancient super-civilization had to have aerial capabilities in addition to their nautical and cartographic abilities. This naturally led to a theory of an alien civilization or one based on the lost city of Atlantis. 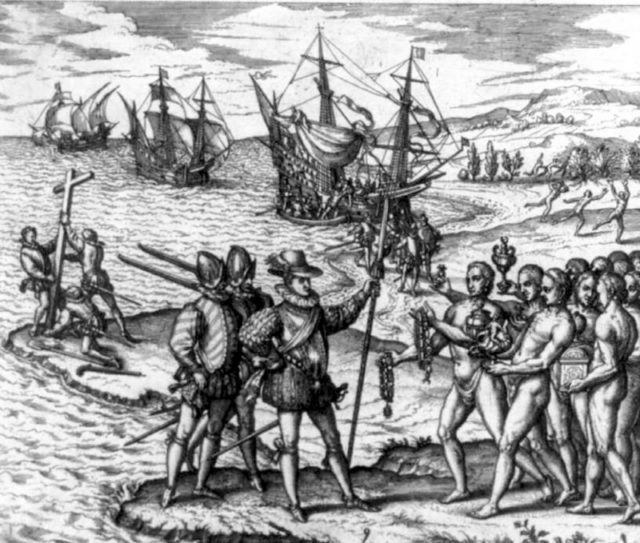 Cristóbal Colom landed on Hispaniola. 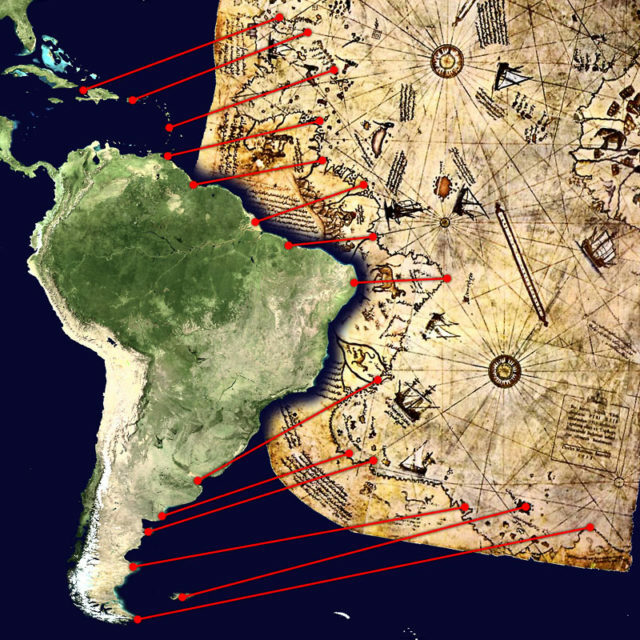 Those skeptical of the Piri Reis theories point out that the map is a fair representation of the coastline of South America, with modern features of the coast and interior shown. If this is not simply the coast of South America, that would mean South America and Antarctica were joined at Uruguay and that Argentina is a recent addition to the land mass. This argument infers that what is thought to be Antarctica on the Piri Reis Map is the lower portion of the South American continent. Professor Hapgood then theorized that the Earth underwent a shift in its axis around 9,500 BC, which displaced Antarctica and moved it thousands of miles to the south, where it became covered in ice. Evidence shows that this phenomenon would have been impossible and did not happen. 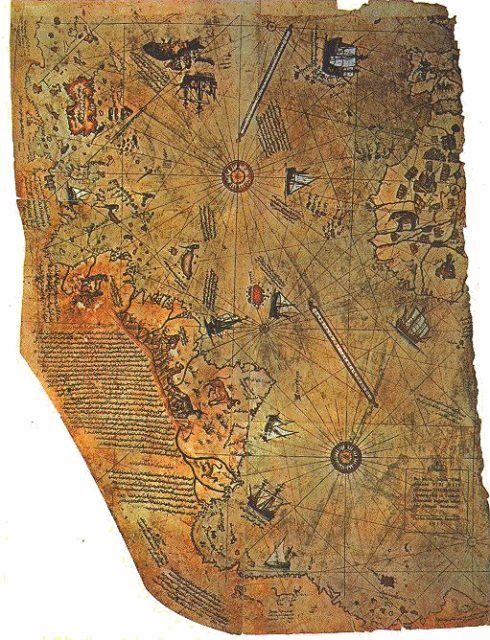 The jury is still out on the question of whether the Piri Reis Map shows Antarctica or not. If you subscribe to the idea that this portion of the map is Antarctica without its ice cap (which has appeared on other maps), then you must believe that an ancient civilization that had advanced navigational skills existed and produced accurate maps of the globe. If you believe that this depiction is of the lower coast of South America, then you will probably scoff at the idea of an ancient advanced civilization. Until there is absolute proof to support one or the other theory, the arguments will continue.